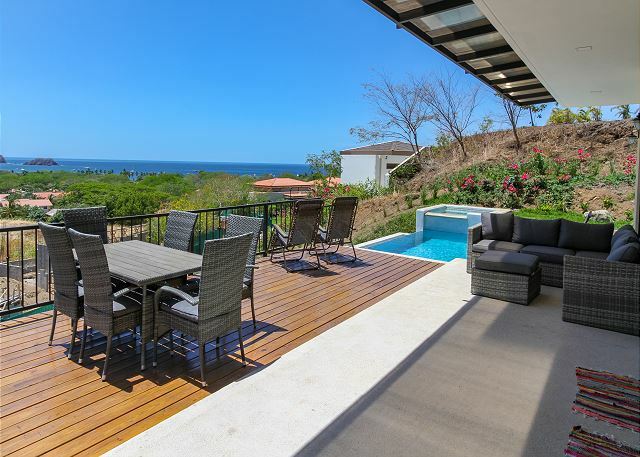 Pacifico Development it is a private gated community that has been ecologically master planned. 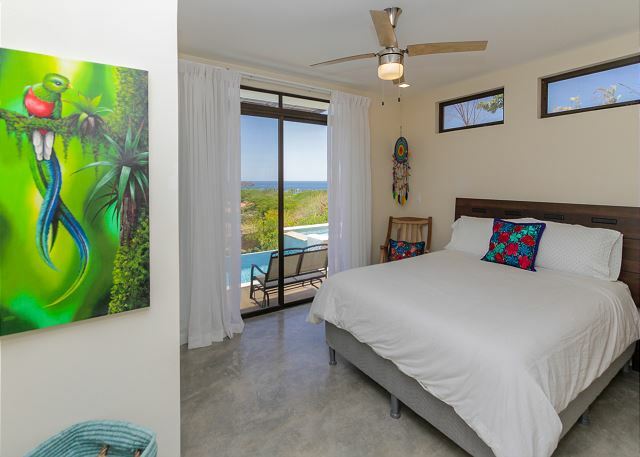 Conveniently located in Playas del Coco; the Liberia International Airport is just 25 minutes away, the town of Playas del Coco is only 5 minutes away from the house and beautiful beaches such as Playa Panama and Playa Hermosa are only 15 minutes away. 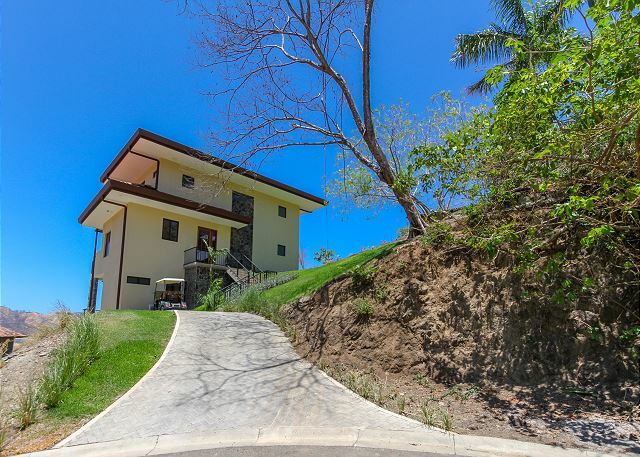 The house is surrounded by the ample lush Costa Rican flora and fauna as well as modern amenities. The unit features an open concept perfect to spend quality time with friends and family. The kitchen with granite counter tops and stainless steel appliances, it opens to the living and dining room becoming the heart of the house. 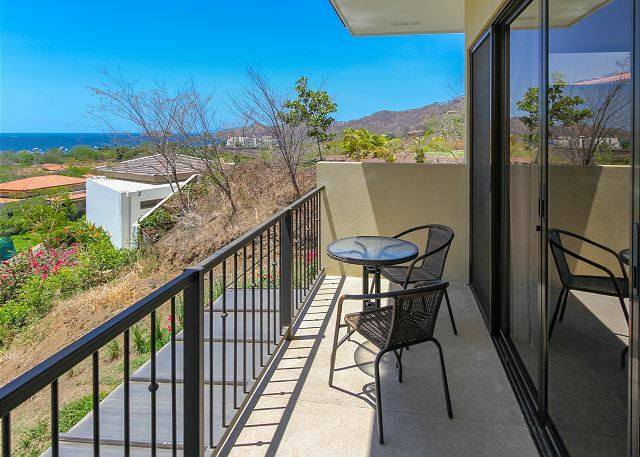 The dining area has beautiful ocean views and can accommodate 6 to 8 people people. If after a full day of activities you just want to seat and relax the living room is for you with comfortable sofas and a flat screen TV that will make you feel as at home. The house has 3 bedrooms and 3 baths plus a separate lockout apartment in the lower level of the house. 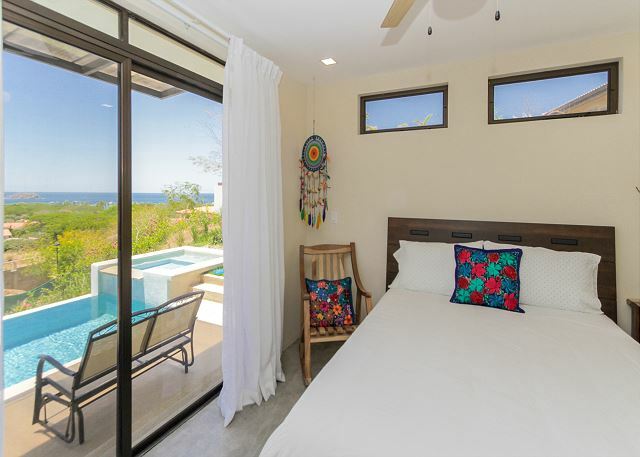 All Bedrooms have access to the balcony, Queen size beds and nice bathrooms. All the rooms have been beautiful decorated and offer lavish beddings. You can enjoy 4 community pools and there is free parking too by the condo complex area inside the development as well. There is also a Beach Club right by the Beach where you can access with an additional Membership of $70 per person per week. Definitely If you want to relax and recharge this place is for you!